The $57 bln auto supplier is reportedly considering a business overhaul, including listing its tyres unit. That fits with a trend for breakups at auto groups, and would boost its valuation. The Schaeffler family, Continental’s largest shareholder, is a potential roadblock. Employees from the Continental tyre company of Clairoix, northern France stack tyres as they demonstrate in the Continental plant of Sarreguemines, Eastern France. Continental AG is still looking at its corporate structure as part of a review launched more than a year ago, Reuters reported on Jan. 9 citing a source close to the matter. The car-parts maker is in exploratory talks with advisers on a major overhaul or even a breakup of its business, Bloomberg reported earlier on Jan. 9 citing people familiar with the matter. Continental’s shares were up 5.5 percent to 251.5 euros at 1523 GMT. The company declined to comment. 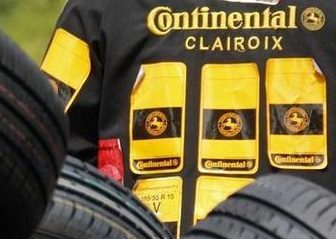 Possible scenarios include Continental creating a holding company for its divisions and then either listing shares of the more profitable units, such as the tyre business, or combining operations with rivals, Bloomberg reported.